The Rig-Release Remote Releasing Hook will allow you to set loads – and then – quickly, efficiently, and safely release the rigging from a safe distance. 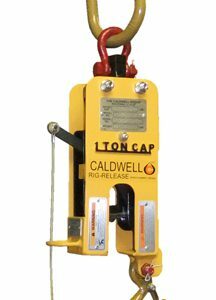 The Rig-Release simply hooks to your crane or spreader beam. 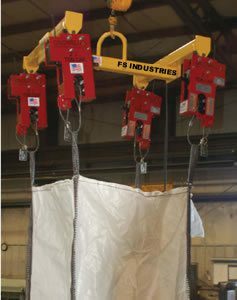 You can then attach the slings(s) directly to the Rig-Release and rig the load. Once the load line is set and the crane line is slack, pull the release rope to release the sling(s). No need for a man lift on site or to have a worker crawl out (or up) just to disconnect sling(s). It’s all done from a safe distance.